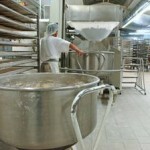 In the quest for lower costs, mass produced bread began to be made by a new process in the 1960s, which reduced the amount of time and labour involved. This process, known as the Chorleywood process, involved more mechanical input but also increased amounts of salt, sugar and the addition of chemical improvers. Some people link this fundamental change in the bread making process with an increase in wheat (or gluten) intolerance otherwise known as Coeliac disease amongst the population in the UK. There has been a small consumer revolt against this industrially produced bread, driven more by a desire for taste rather than plastic bread. Home bread making. This, of course, has been taken as an opportunity by the supermarkets to produce speciality and organic breads although they’re reticent to discuss the production methods. Those ‘instore bakeries’ often just take a chilled loaf and cook it rather than actually make it. 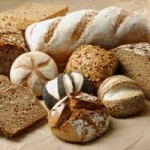 You can buy traditionally produced bread from craft or artisan bakeries, but at a premium price, obviously. I’m afraid cheap prices are usually at the cost of quality and if you want decent bread you either pay the premium or make your own. Having covered the health benefit of home bread making – the reduced salt and chemical inputs, rather than industrial bread, the next benefit is cost. 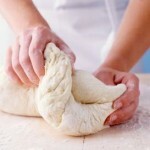 Buying in your flour and other ingredients will save you money on buying bread from a shop. Yes, it will take time but not a lot. You can save time by batch baking and then freezing loaves for another day. 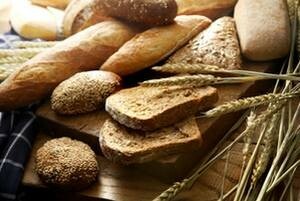 Since your own bread is not full of yummy preservatives, it will go stale more quickly and may grow mouldy faster. Makes you wonder how good that industrial bread is for you when even mould growth is slowed on it. Because you can make whatever size loaf you wish, you can make your loaves to fit your daily needs. If you eat 300g in a day, then make 300g loaves. Your own loaves can be made as you like, various types of flour are available and you can even mix different types of flour to make a bread you like. Then you can make different shapes from the traditional tin loaf to rolls, braided breads and baguettes, whatever you fancy. Your own loaves will taste better than anything you can buy from the supermarkets, the traditional process enables flavour to develop that is replaced with added salt and enhancers in industrial bread. There are a lot of different traditional shapes that you can make with your home made dough when you make bread in the traditional way by hand.